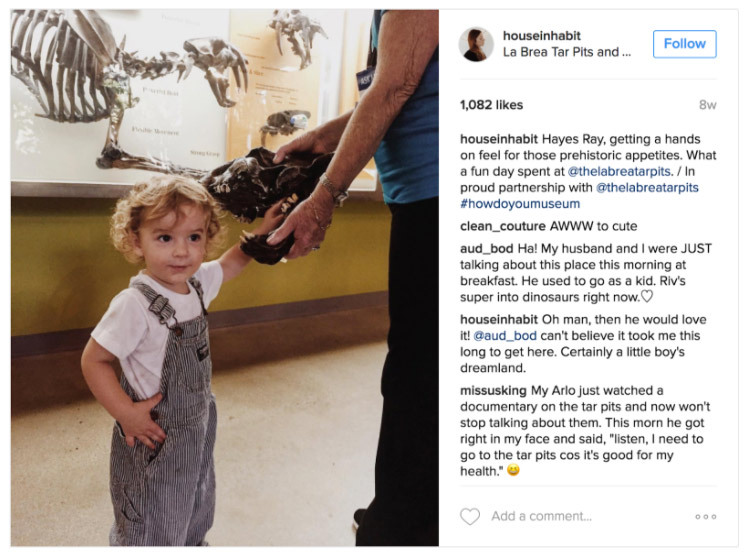 In August 2015 the Natural History Museum of Los Angeles County and the La Brea Tar Pits Museum launched an innovative destination campaign called #HowDoYouMuseum that combined traditional and digital media. 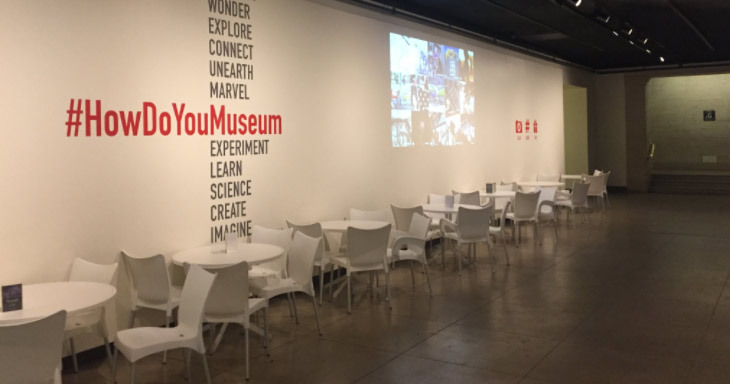 It was designed to both sustain the momentum gained from the museums’ recent renovations, and brand-align two institutions that had long been marketed separately. The campaign was meant to run for at least two years. 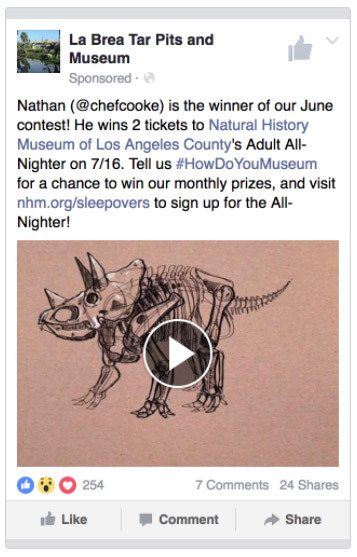 The multi-faceted campaign engages visitors by asking them to share their experiences at the Museums on social media, and then the Museum features that user-generated content in both paid and non-paid media with a monthly contest to incentivize more participation. The UGC is also projected onsite at the Natural History Museum. 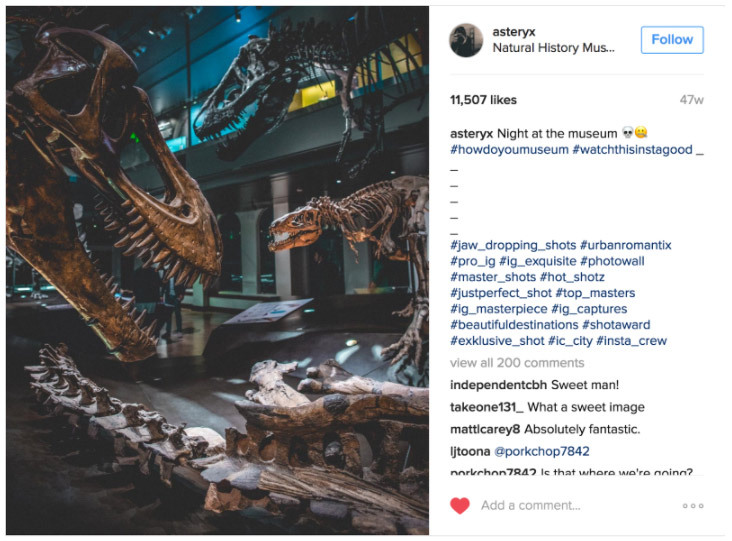 In addition, the Museums produced a series of influencer videos starring unpaid local celebrities who share their own Museum experiences with the hope of inspiring others to visit, discover their own experience, and share it with the world. 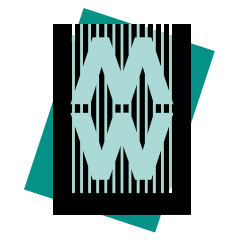 Since the launch of the digital campaign in February 2016, the videos alone have had over 5.6 million views with over 100,000 views happening weekly. 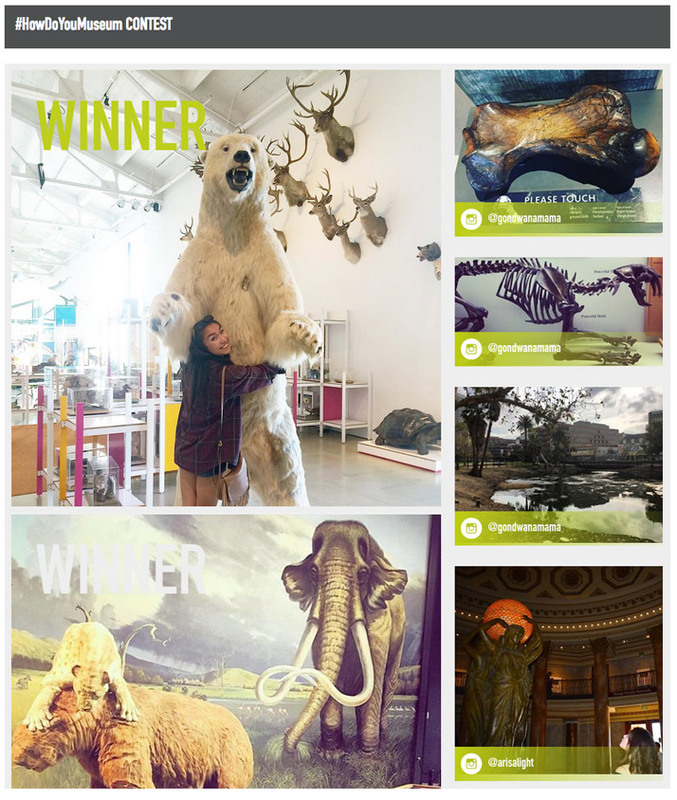 In addition, more than 5,500 people have shared their own UGC.